There are often discounts available to senior citizen and little youngsters. Find out by contacting your nearest pool in Maryland. Most of the Salt Water Pools in Maryland supply both open lanes for independent swimming and also guided activities like water aerobics or aquabike. Regular users told us the most important point of swimming is to manage your breathing. To get this, our head should be aligned with our spine all the time. Please, use the contact details provided at every pool profile. Please check the nearest Swimming Pools or Contact us to ADD IT. It's free! Please have a look to the Salt Water Pools in Maryland swimmers like you have reported. Is your pool not listed? Contact us to ADD IT. It's free! Swimming is a excellent idea to keep your body active for the duration of your visit to Baltimore (Maryland), or even if you are a local. 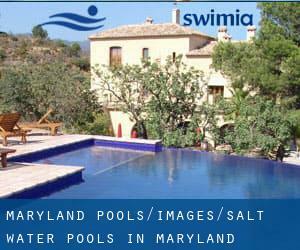 Swimia helps you to find your closest Pool in Baltimore. Without a shadow of a doubt, swimming in Germantown could be the most beneficial way to unwind after work. Take a couple of minutes to browse Swimia's catalog to find a Swimming Pool in Germantown. Let us tell you a secret to switch off though you are in Waldorf: just choose a Pool in Waldorf and plunge into the water! There's no even more productive method. It's difficult to visit Maryland without dropping by Glen Burnie (with 67.639 residents). Currently Swimia is showing you all the Swimming Pool in Glen Burnie and the closest pools located in its vicinity. Updated on 2019 Highway 30A , Alys Beach , FL , USA (Postal Code: 32461). Swimmers like you have reported 100 feet x 50 feet, Salt Water, Outdoors. Also, you will find 25 yards, Outdoors. If you need to contact this Pool, email address and phone number are both number. 2880 Michelle Drive , Irvine , CA , USA (Postal Code: 92614). Among all the activities supplied by the center, if you are interested in swimming you will enjoy 25 yards, 3 lanes, Salt Water, Indoors. Just in case you would like to contact this Swimming Pool before dropping by, we only know the phone number.